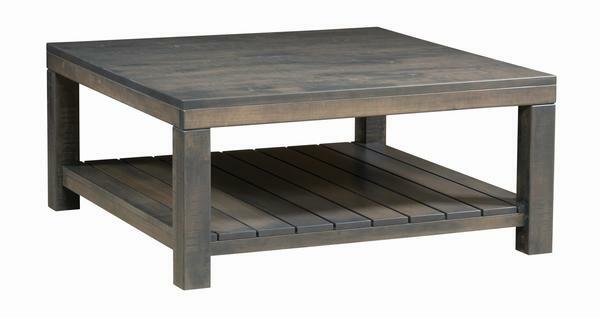 Our Amish Kingwood Coffee Table is an attention-getter with it's clean, square design and standard rustic accents that includes distressing. The distressing that is created by using a hand-plane on the top and legs, as well as the plank shelf, give this living room or office accent table a rustic feel. Solid construction throughout that includes a 1-inch thick top and 3-by-3-inch posts guarantee this occasional will last for generations to come.